Only 7% of communication is verbal, Louise Reay informs the audience (on placards). 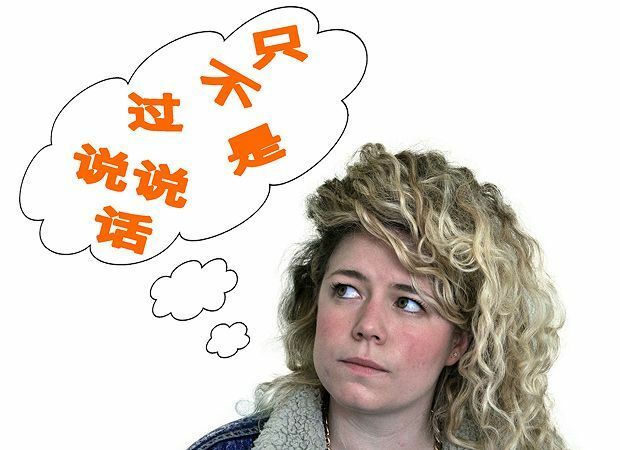 You'll probably understand 93% of Reay's show, then, since it’s performed entirely in Chinese 'for people who don't speak Chinese'. Reay is known for her skilled clown work, which lends itself to this premise well. Through frantic physicality and exaggerated expression, she gives everything a clear yet comical meaning, be it an extract from Romeo and Juliet or a seminal moment from Rocky. The show's strongest moments come from her interaction with audience members. Reay manages to drive home the message that you don't need words to understand situations, no matter how absurd, such as dressing a fully-grown man up as a baby and offering to feed him with a mounted rubber breast. Talking to an English-speaking fella in Chinese and having him understand is interesting; having him nod along in a knitted baby bonnet is all the better. Reay's point is quickly proved, however, and halfway through, the mimicked actions and surreal situations grow tired. This experiment would do well as part of a broader set but isn't substantial enough to last the full hour. If communication is key, Louise Reay would do well to keep this act short, and let her clowning speak for itself. Just the Tonic at The Community Project, 0330 220 1212, until 30 Aug (not 18), 4.15pm, £5 (or Pay What You Want).